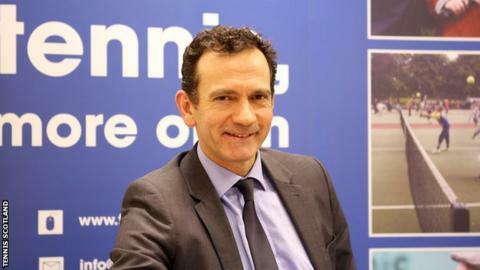 Blane Dodds has resigned from his position as chief executive of Scottish Golf after 16 months in post to take up the same role with Tennis Scotland. The 50-year-old recently launched a proposal to raise an additional £4m in revenue to help grow amateur golf through clubs. One of the proposals was to raise the annual fees accrued from club members from £11.25 to £24. A vote among golf clubs and members is scheduled to take place on 2 December. Dodds, a former tennis professional, was non-executive chair of Tennis Scotland at the time he joined Scottish Golf from North Lanarkshire Leisure. Eleanor Cannon, the Scottish Golf chair, will step in as interim chief executive. Dodds, who will begin his new role on 3 January, said he was leaving with "a heavy heart", adding that the opportunity to lead Tennis Scotland "was the one job that I could not turn down". "There have been huge steps forward for tennis over the last year most notably the establishment of the new £15m Facility Fund thanks to sportscotland and the LTA." Scottish Golf say the recruitment process for a new chief executive will begin immediately. "We are disappointed that Blane is leaving and thank him for his efforts in leading our modernisation programme," said Cannon. 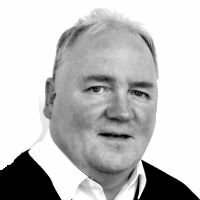 "The timing of this decision is unfortunate, but we acknowledge Blane's long association with tennis in Scotland and the emotional pull it has on a former internationalist. "The board of Scottish Golf remains unanimously committed to its core strategic objective, which is to deliver significant investment to the game and provide a sustainable future for it - at a time when the Government is significantly reducing its contribution to the game. "We will continue to engage with and listen carefully to golfers and clubs over the coming weeks, to underline our belief that by making a relatively small personal investment in the game, golfers can help strengthen the foundations of this great sport and better serve future generations of golfers and visitors to Scotland. "We acknowledge the concerns of some people and clubs around the detail of our proposals and will obviously reflect carefully on all of the views we are hearing prior to finalising what goes to the SGM by the start of November. Our desire is to continue to consult and build as much consensus as we can around the future of golf in Scotland."